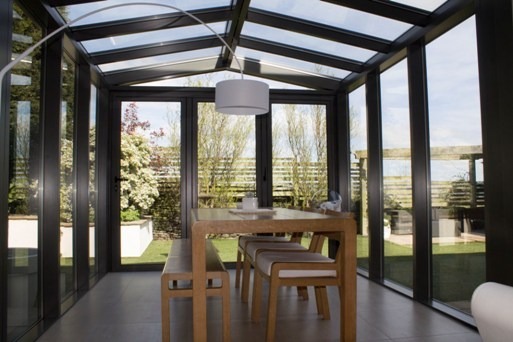 Aluminium bi-folding doors designed by Clearview are some of the most technically advanced systems in the world. Components can also be added to allow them to include sensors that detect whether they need to be closed, as well as high levels of security and much more. 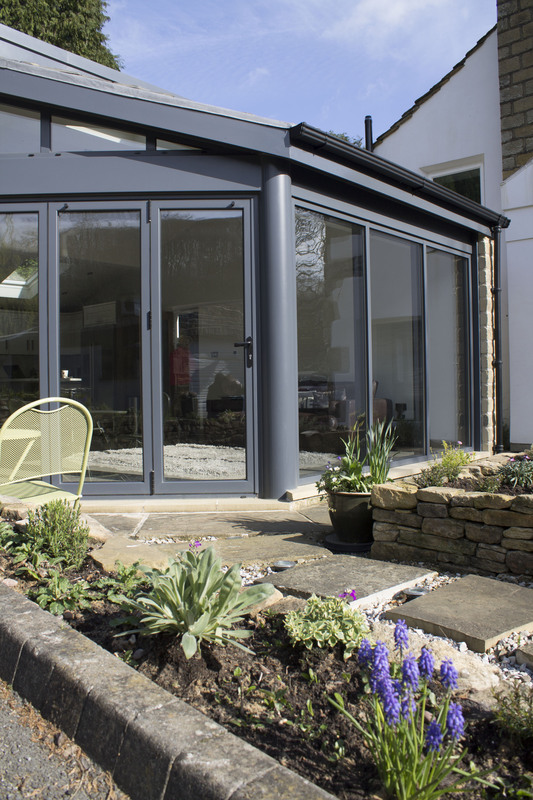 Below, our engineers have had a look at some of the key scientific components of our aluminium windows and doors and explain how they can be of real benefit to your home. 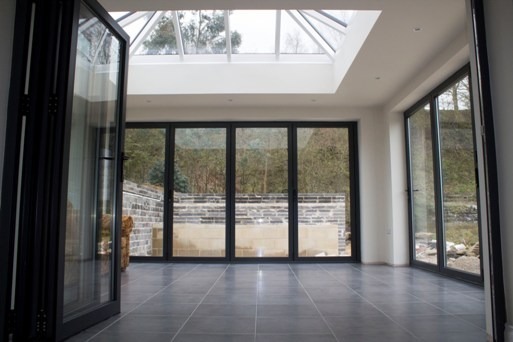 It is important, especially if you have decided to buy bi-folding doors because of their impressive energy saving capabilities, that their weather performance is high. 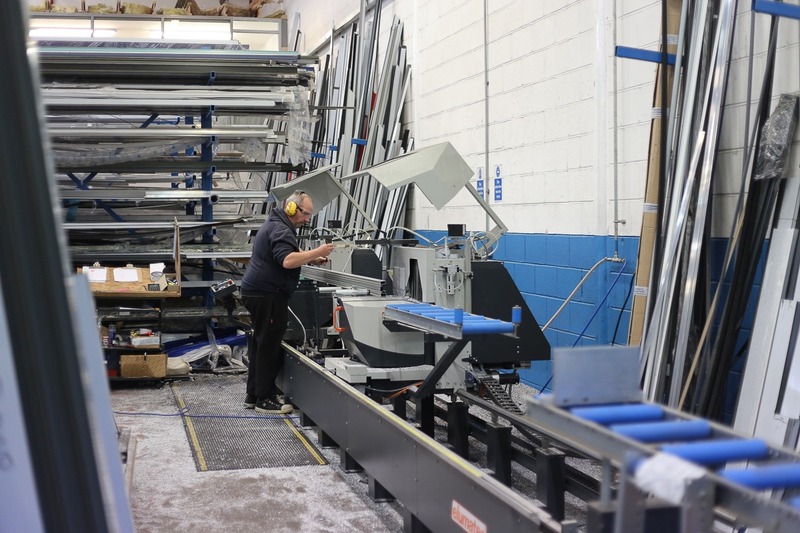 At Clearview, we use only the highest quality of Aluminium Profiles and Glazing. The aluminium profiles are vigorously tested and approved to the uppermost weather standards. We use AluK and Schuco systems and these are all tested against BS 6375-1. As a result their ranges are capable of exceeding exposure category ‘2400Pa special’. The more glass on show in your products the greater the ability to save energy. During the summer months, the glazing acts as a barrier where the warm air cannot penetrate through which ensures the internal temperature is comfortable. Conversely in winter months, heat is unable to escape and it helps to reduce internal heating costs. AluK and Schuco systems also hold a wide range of constriction industry accreditations which ensures not only high quality, but also long life, security and safety. Some of the accreditations which they currently hold include – Kitemark BS473, Kitemark BS7950 & Secured by Design. • It can easily be cut to the exact size and dimension of the gap, ensuring a perfect fit time and time again. • Aluminium contracts less in the weather than PVCu so this eliminates the risks of mechanical problems arising. • Aluminium holds it colour for a long time and the finish should not fade in the weather. If you would like to find out more information about any of our products please do not hesitate to view their specific downloadable brochures by clicking here. Alternatively, you can speak to one of our team by calling Clearview on 0800 1357167.